I have several of these, and they work pretty well. Just make sure to upgrade the firmware on both the controller and the receiver (you have to take the receiver apart to get access to the USB port to upgrade them). They work great with both the original Genesis hardware and the new Mega Sg. Otherwise my Logitech Cordless RumblePad 2 works fine in BlastEm. 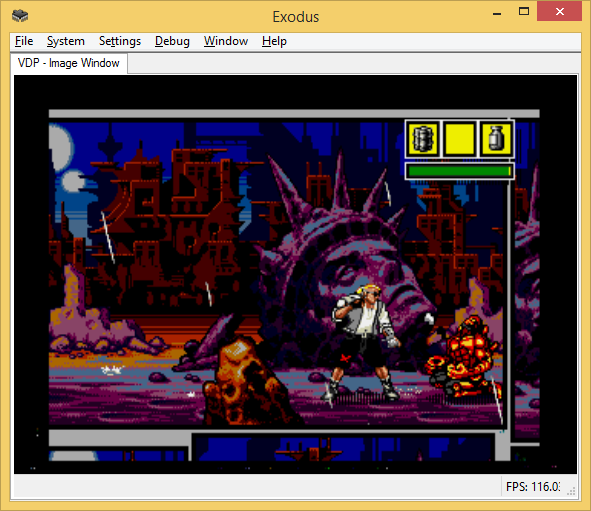 AFAIK, Kega is the only emulator that has random characters for X-Men 2 on power on/hard reset and soft reset. And it also has random character Sega logos for Eternal Champions on soft reset. Nice! TMSS works great now. All games seem to be running at full speed but I notice the FPS maxes out at around 62 to 63 FPS, any reasoning for this on a 60Hz monitor? But damn, DEcapAttack still brings my 4770K to its knees! It'll be open source, so anyone can port it to Linux (or Mac).